Lentils have been historically famous as a shelf-stable, nutritious food. 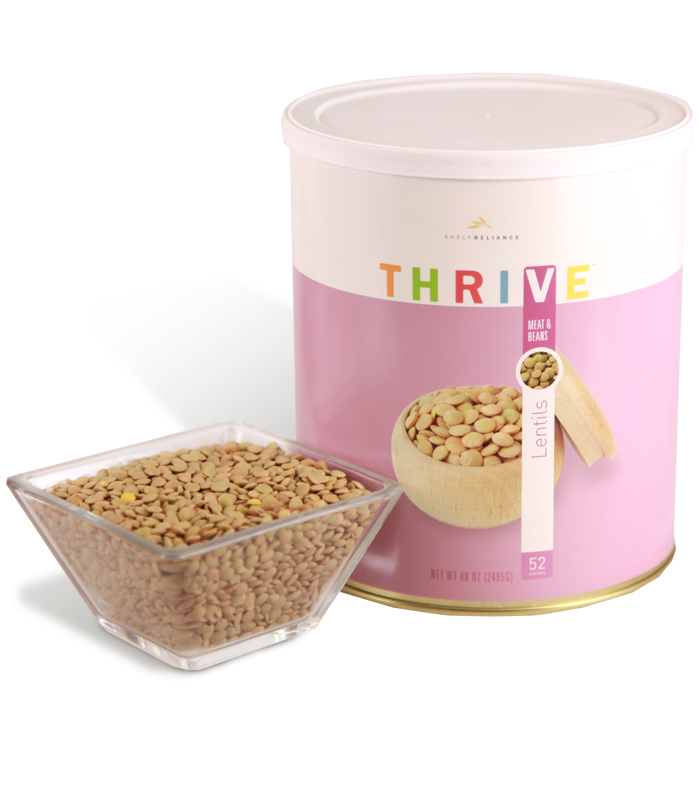 THRIVE Lentils bring this versatile, nutritious food to your home, ready for inclusion in salads, soups, and potato dishes. Heaps of fiber and protein are found in every serving. With 46 servings that will last as long as 30 years, you'll be able to use THRIVE Lentils whenever you're ready. Comparatively short cook times and a reputation for nutrition and adaptability make this legume is a smart choice for your food storage needs. Rinse lentils in a colander. Bring them to a boil in two times their volume of salted water. Reduce to a slow simmer and cook uncovered for 20-30 minutes, making sure lentils stay barely covered by water. Lentils will increase slightly in volume after cooking (by about 1/8). Use in soups, stews, and salads for added texture, or substitute for rice as a bed for entrees. Did you know you can make refried beans out of lentils? Just puree them after cooking like you would with pinto beans.